How Much Automation Do You Want In Your Espresso Machine? Almost all espresso machines have some level of automation, and the names give you a basic idea of how much they do on their own. Even before getting into the nitty gritty details of each machine, you can whittle down the selection by deciding how much automation you want. If you’re not sure which level of automation does what, let me take you through the different options and the approximate price of each. No, this isn’t a machine gun, but it does mow down the amount of effort you need to make in order to get your jolt of happy in the morning. Semi-automatic espresso machines do some of the work for you, but not all. Basically, they can be expected to transform the grounds you make into the espresso you want. You have to tell them how much water to use and how strong you want your espresso, and you decide the amount of grounds that go in the portafilter. Now here’s an important question for you — do you know what a portafilter is? No? That’s okay. Every type of machinery has to include a technical term to make those who know the definition feel superior. That’s how you can tell the real experts from the average person, and I’m going to make sure you’re recognized as a true aficionado. You know that cup with the handle that hooks into the top of the machine? That’s the portafilter. 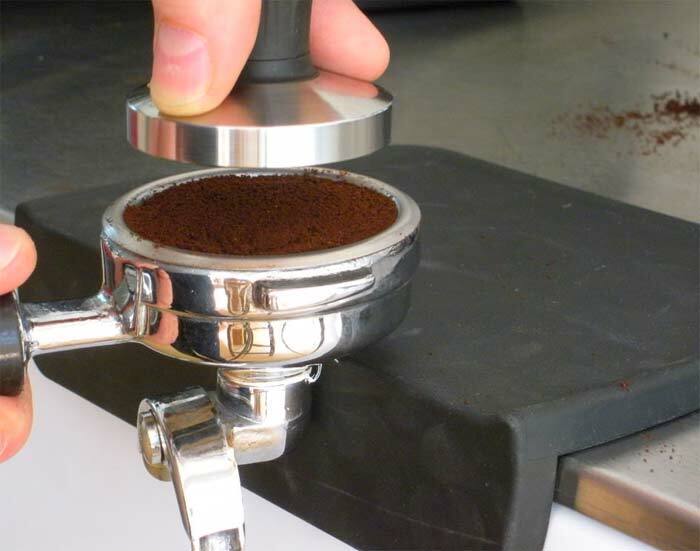 You fill it with the beans you ground, and then press them down with a tamper. That’s called “tamping it”. Then, the espresso machine heats the water and creates the steam, which then gets pushed through the grounds and creates the espresso you love. The machine still does a lot of the work for you in that it heats the water and allows you to determine when the espresso meets your perfect consistency. Semi-automatic machines are not as expensive as those at the next level, but they can still cost a fair amount. A consumer level machine with passable reviews typically costs between $100 and $200. There isn’t a lot of difference between semi-automatic and automatic espresso machines, which can make things a bit confusing if you’re not sure what you’re looking for. Automatic machines do have more features, so they cost a little bit more. However, the biggest distinction between the two types of machines is that automatic machines will measure the water for you and shut off on their own. That means you don’t have to guess whether the espresso is ready or still needs more water. The machine knows. I know that I, personally, need an automatic machine rather than a semi-automatic machine. I have major “squirrel” syndrome and I get way too distracted to stand in front of the machine while it’s brewing to make sure it doesn’t have too much water in it. I didn’t think an espresso machine, or any machine, could get more automatic than automatic, but apparently it can. If you have the money to spend on an espresso machine that’s as close to perfection as possible, a super-automatic machine is where it’s at. Not only do you not have to measure the water, you also don’t have to grind the beans, measure them, or, in some cases, froth up the milk. These machines literally do everything except pour the coffee and milk together for you, and some of them will even do that. You can expect to spend at least $450 on a super-automatic espresso machine, with the best on the market priced above $1,000. 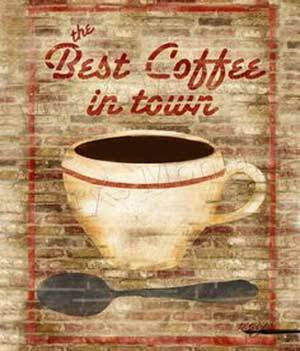 You won’t get away cheaply, but you will get some pretty darn good espresso. There is one more player in the automation game, and it could throw a little bit of a monkey wrench into your plans. While super-automated machines are the most expensive, capsule machines are technically super-duper-automated, but they cost less and require less coffee grinding. In fact, they don’t require any grinding at all. 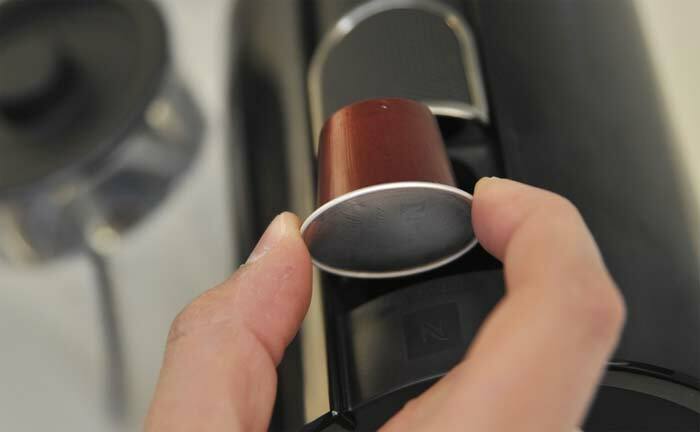 Capsule espresso machines are single-cup machines which use pre-measured coffee “capsules” you place in the top of the machine, and they brew in no time flat. They do all the work, and some even do the milk frothing automatically. One major thing they have going for them is they typically cost between $100 and $400. That’s a lot less expensive than a super-automated machine, but you have to settle for pre-measured capsules. This can be a big benefit for the not so seasoned aficionado, but if you’re more experienced you might not be able to get that exquisite espresso of your dreams. So now you know the differences between the levels of automation available for espresso machines. You can make your decisions based on price or features, but you should have a fairly good idea of how much you’re going to have to spend to get the features you want in the machine that will put the “go” in your “good morning”. Now take that information and get brewing.